It’s hard to resist a greasy spoon diner. Bacon and eggs. Pancakes and syrup. 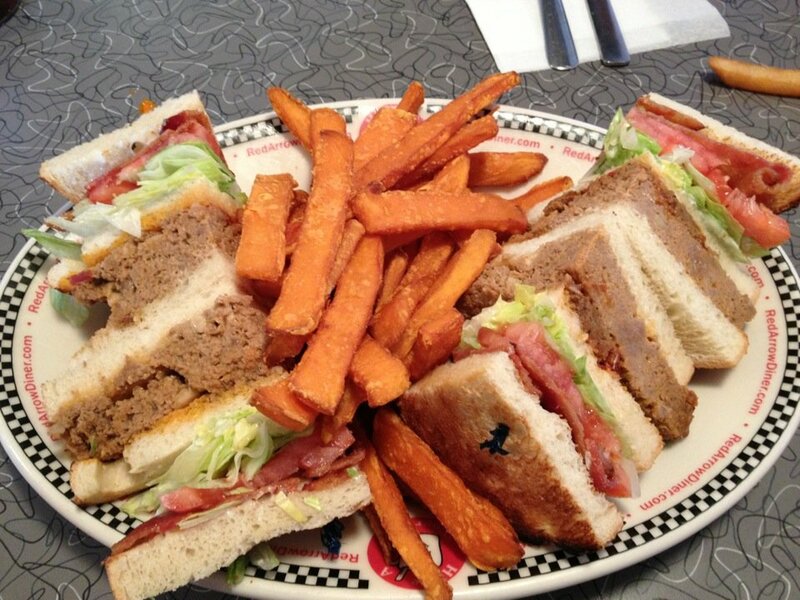 Giant sandwiches and delicious meatloaf. The casual and fun atmosphere–what’s not to love? They’re delicious! Foursquare helped compile a list of the most popular and talked-about diners in every single state. You’ll want to visit each and every one after reading the list. 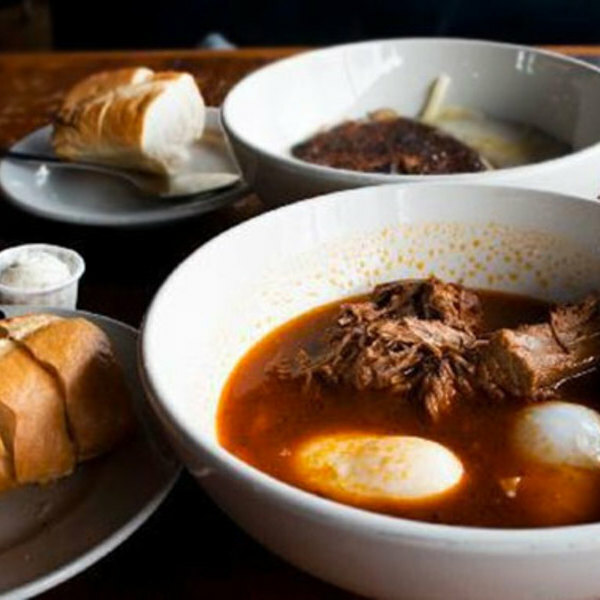 Here are the yummiest and most popular diners in every state in the U.S. The Lucky Wishbone Diner. 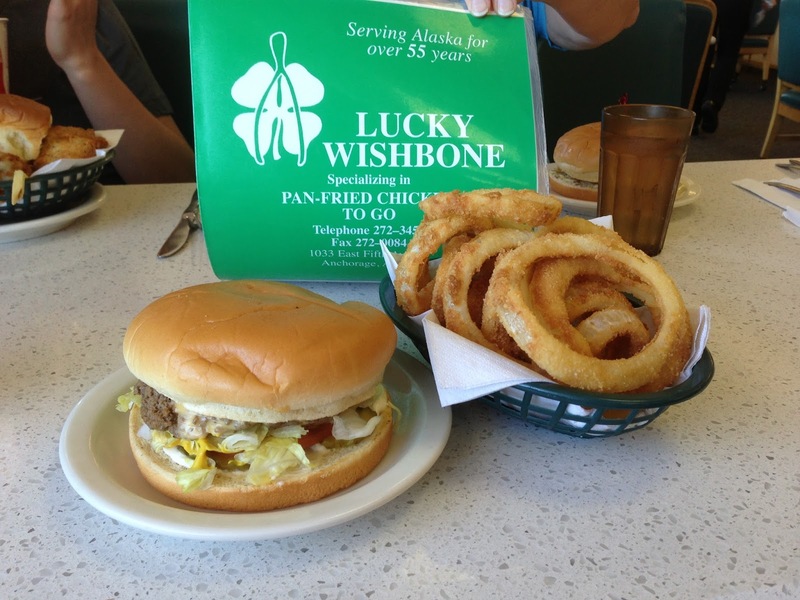 Customers love The Lucky Wishbone’s fried chicken but it’s their burgers and fries that they absolutely rave about. Located in Anchorage–it’s a must-visit if you are ever in The Last Frontier. Check out their reviews here. Big Time Diner located in Mobile. Love milkshakes? Love gumbo? How about burgers? 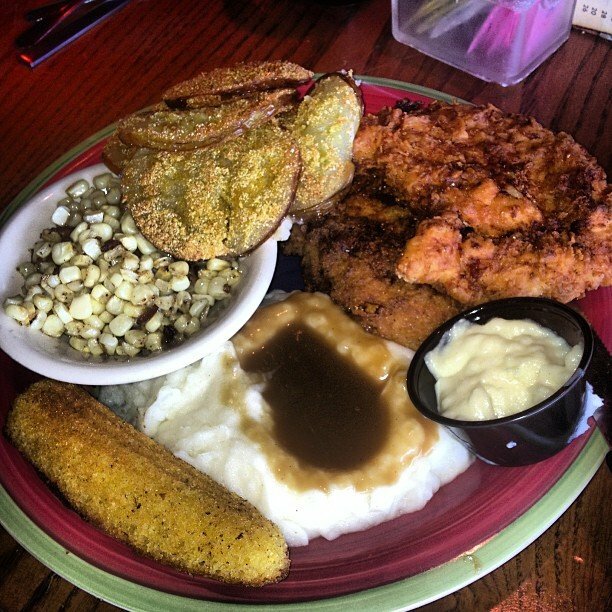 Big Time Diner features southern favorites such as chicken fried steak, fried catfish, and hush puppies. Yes, please! Read their reviews here. At The Corner. Step inside this classic, vintage diner and it’s like you took a step back in time. Located in Little Rock, you’ll find delicious breakfasts, burgers, hotdogs, and sandwiches. How could you go wrong? Read what customers are saying here. Joe’s Diner. Driving through or visiting Phoenix? 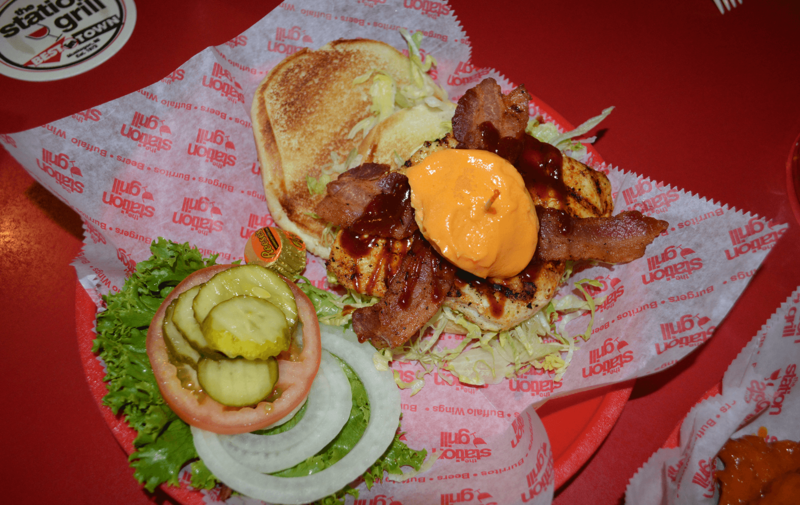 You’ll want to put Joe’s Diner on your list. Large portions of home-style cooking will be sure to please your taste buds. Be sure to pick up one of their fresh cinnamon rolls! Here are their reviews. Canter’s Deli. Los Angeles is full of great food from every single culture you could imagine. 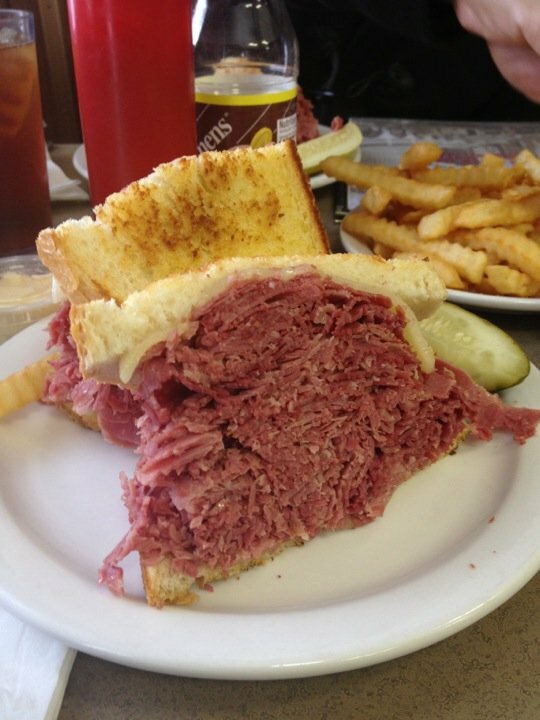 But it’s Canter’s Deli that makes the list for ‘Best Diner’. Step inside for a fully authentic deli experience with giant sandwiches with heaps of meat. To die for! Check out their reviews here. Snooze Eatery. 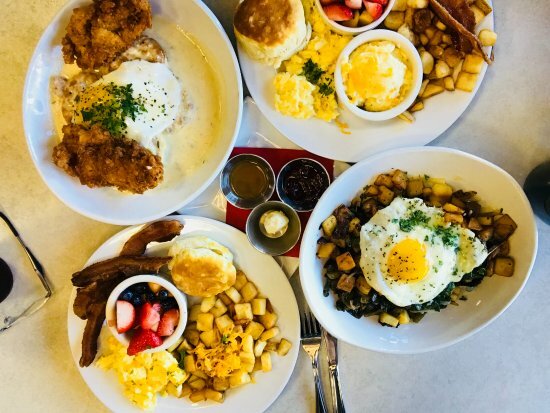 What started in Colorado, you can actually find Snooze Eatery in Colorado, California, Arizona, and Texas. That’s how good it is–people wanted more! Their pancakes and french toast are things that taste like they’ve been sent from the heavens above. Try the Pineapple Upside Down Pancakes! You’ll never be the same. Read all their reviews here. Chip’s. 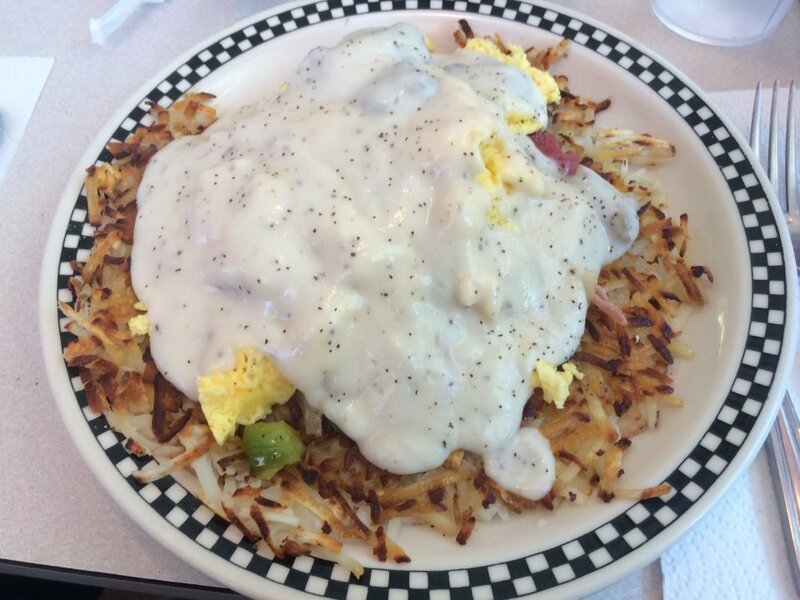 “Home Fries = AMAZING! and great atmosphere for the family and great place to meet up with friends. 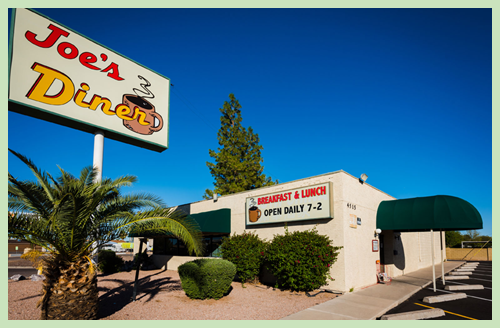 Loyal customer of many years and I love this place so much.” – Foursquare user Anita Dyer. You can find Chip’s in Orange, Connecticut. Read more reviews here. Crystal Restaurant in Rehoboth Beach. Delaware is often an overlooked state but Crystal Restaurant should definitely be on your bucket list for places to eat. Be sure to order the French toast or delicious crab benedict. Read Crystal’s reviews here. Metro Diner in Jacksonville. Are you a fan of fried chicken sandwiches on a fluffy, homemade biscuit? 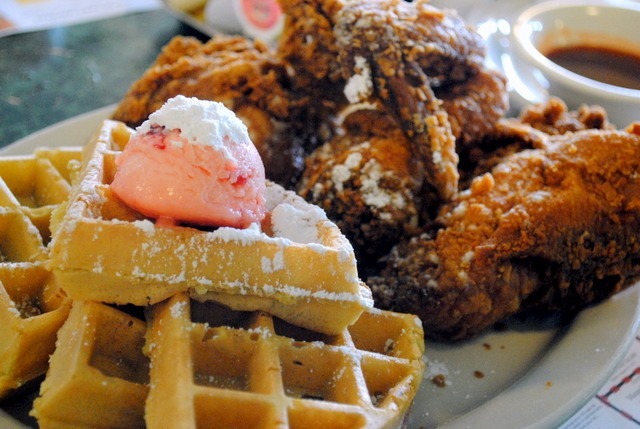 How about chicken and waffles? 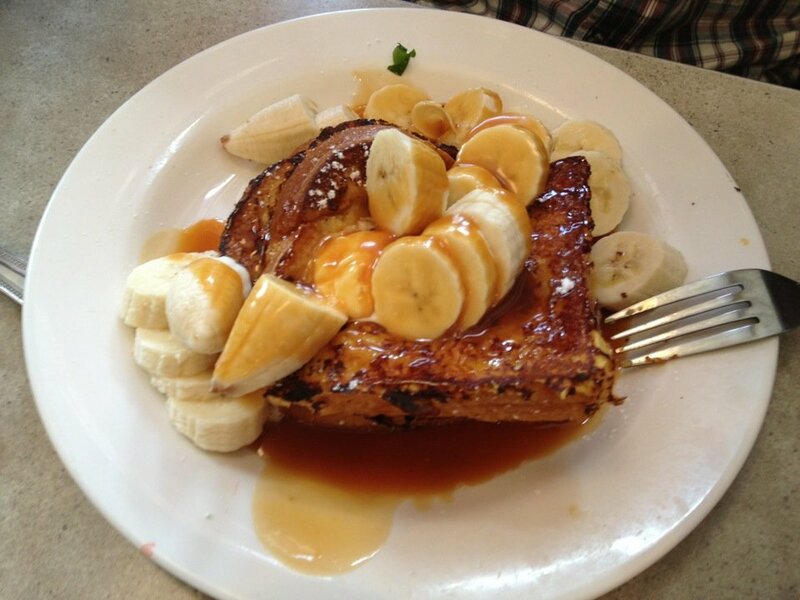 You’ll think you’ve died an gone to heaven at Metro Diner. They also offer lunch and dinner–no matter the meal, they will not disappoint. Find their reviews here. Ria’s Bluebird. 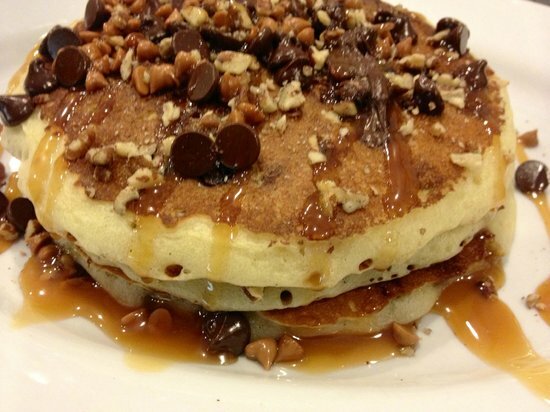 Pancakes with pecans. Brisket and eggs. Biscuits and gravy. You can find it all at Ria’s Bluebird in Atlanta. 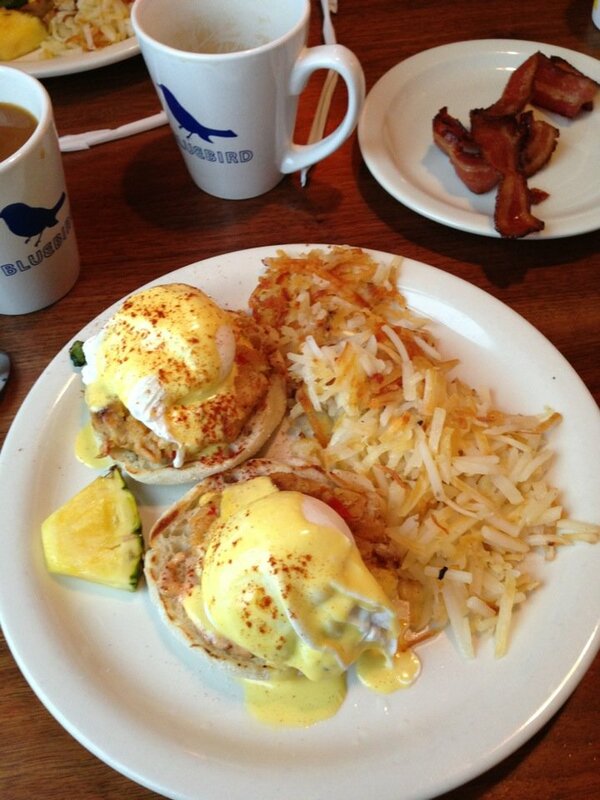 Boasting southern favorites and American classics, Ria’s Bluebird is doing diner food right! Want to read reviews? Find them here. Liliha Bakery There’s no doubt that Hawaii offers some of the yummiest food in America despite being a 5-hour flight from the west coast. They also offer their own culture of food. 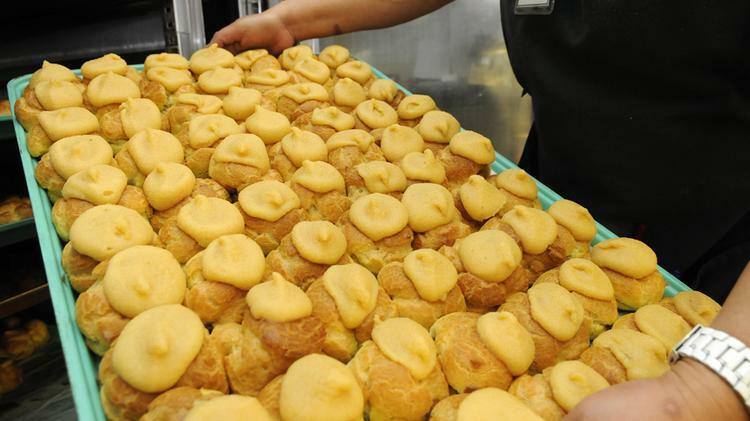 In Honolulu, be sure to check out Liliha Bakery for authentic, homemade Hawaiian baked goods like danishes, puffs, donuts, and more. Their reviews can be found here. Bluebird Cafe in North Liberty. 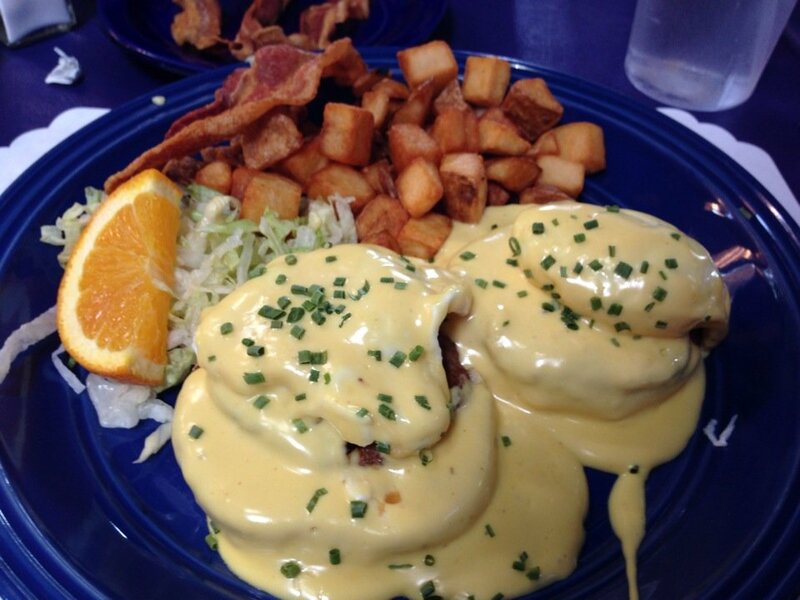 “Crab cakes Benedict is both delicious AND it will fill you up for hours. Waffles and pancakes with toppings of your choice are the best. Try the maple-pecan bacon. You won’t regret it!” – Foursquare user Anne Curbow. Read all the reviews here. Westside Drive-In, Boise. ‘Drive-In or Sit Down” their website says. Featured on Diners, Drive-Ins, and Dives, this quaint diner is sure to satisfy everyone who comes in. Be sure to check out their famous burgers and prime rib. Read all reviews here. Dove’s Luncheonette. Chicago is another city in the U.S. that is filled to the brim with delicious food. But Dove’s takes the cake for best diner–hands down. Items like Burnt Ends Hash, Avocado Toast, and Fried Chicken with Chorizo Gravy are major crowd pleasers. Read the reviews on Dove’s here. Rock-Cola Cafe in Indianapolis. “Everything! Really I mean everything!” – Foursquare user Dawn Aubrey. 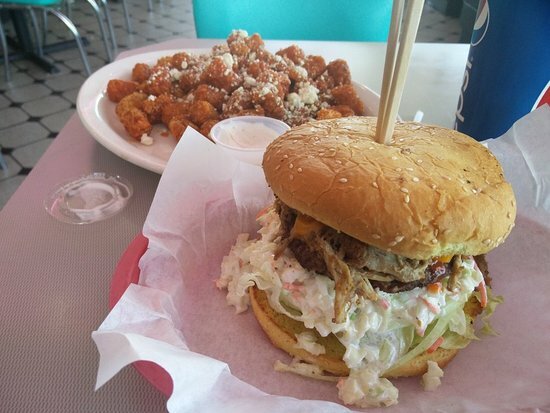 But some of the real fan favorites include the Trailer Park (a breakfast mash-up with just about everything on it) and their burgers. Find more reviews here. Old Mill Tasty Shop in Wichita. This old-timey diner has been around since 1932, so you know it’s good! They have sandwiches galore, hearty entrees, and an array of old fashioned sodas that will take you back to a simpler time. Read their reviews here. Ramsey’s Diner. 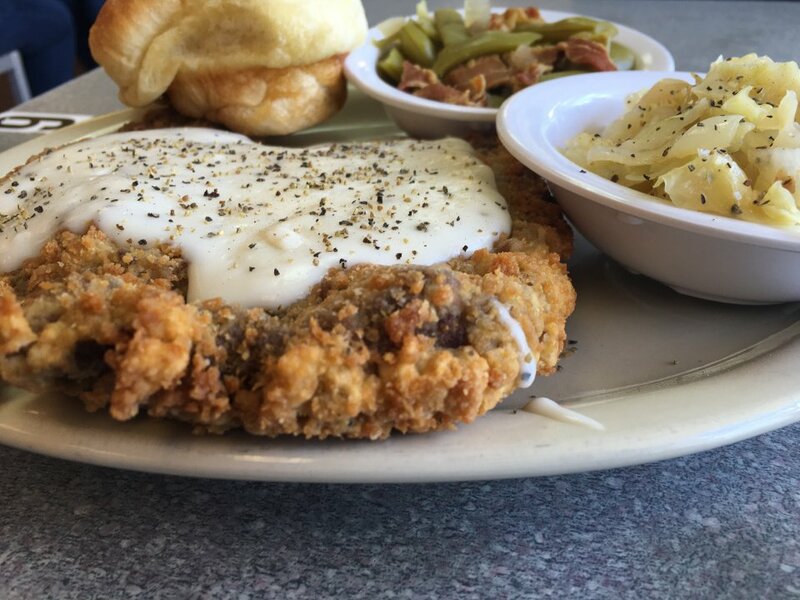 Located in Lexington, here’s another diner that knows exactly what they’re doing when it comes to American comfort food. Watch out for their giant portions! Read more about this adorable place here. 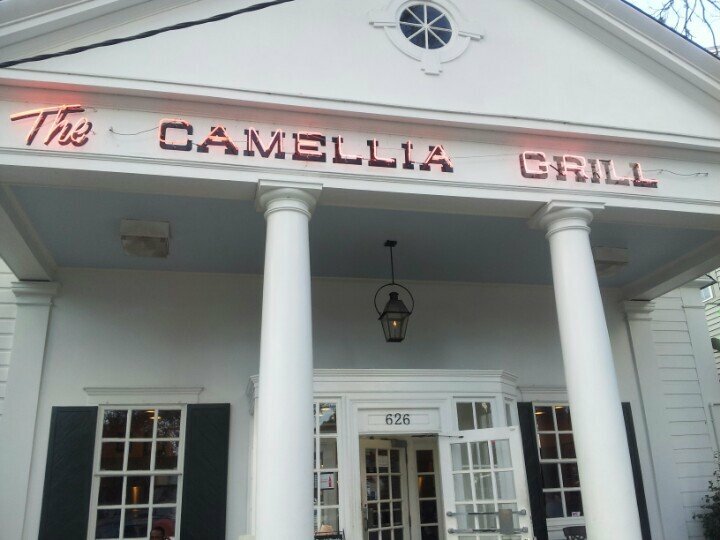 The Camellia Grill in New Orleans. “Chocolate freeze, bacon and cheese omelette, chili cheese fries. Great for end of the night drunk munchies and even better to cure a hangover.” – Foursquare user Katie dP. The building it’s located in is simply gorgeous! Read all their reviews on Foursquare. The Paramount in Boston. Brioche French toast? Check! Chocolate Boston cream pancakes? Check! Corned beef hash? Check! There is rarely a disappointed diner when they visit this Boston gem. Read their reviews here. Pete’s Grille. 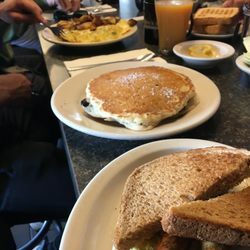 With pancakes the size of a dinner plate, Pete’s Grille in Baltimore is definitely a fan favorite for a breakfast diner experience. Their homefries are also supposedly the best in Baltimore! Find their reviews here. Becky’s Diner in Portland. 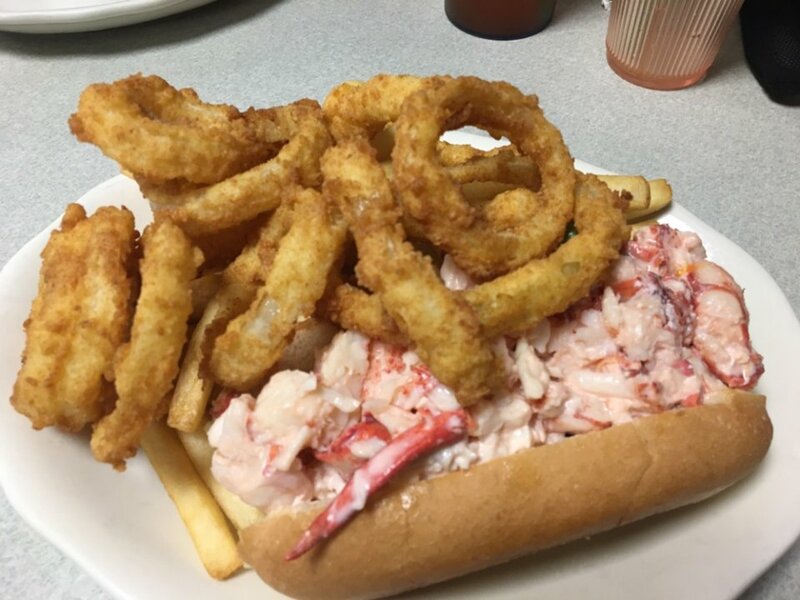 Located on Portland, Maine’s picturesque waterfront you’ll find a charming diner that’s been around since 1991. Opening at 4 am they serve breakfast until 4 pm. They keep it simple with eggs, omelets, and pancakes–but they’re all done to perfection. Oh, and they also have lobster rolls! Read their reviews here. The Station Grill in Muskegon. “You can’t go wrong with anything here. Best wings, burgers and chili around! !” – Foursquare user Tia Simpson. Tia’s not alone, though–read all their reviews here. Charlie’s Cafe in Freeport. 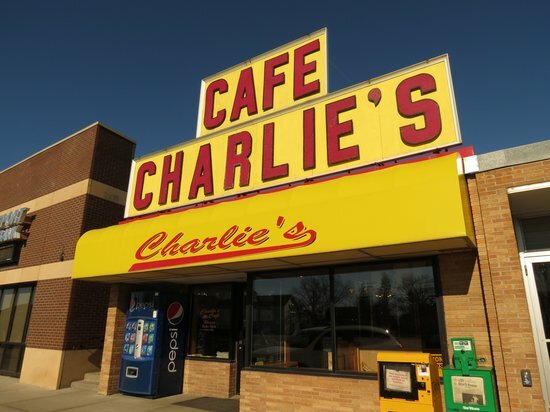 Apparently, Charlie’s Cafe has some of the best meatloaf to ever exist. They’ve been around since 1965, so you know they must be doing something right! Want more proof? Read their reviews. Crown Candy Kitchen in Saint Louis. Be prepared for a line out the door for this diner favorite in St. Louis, Missouri. 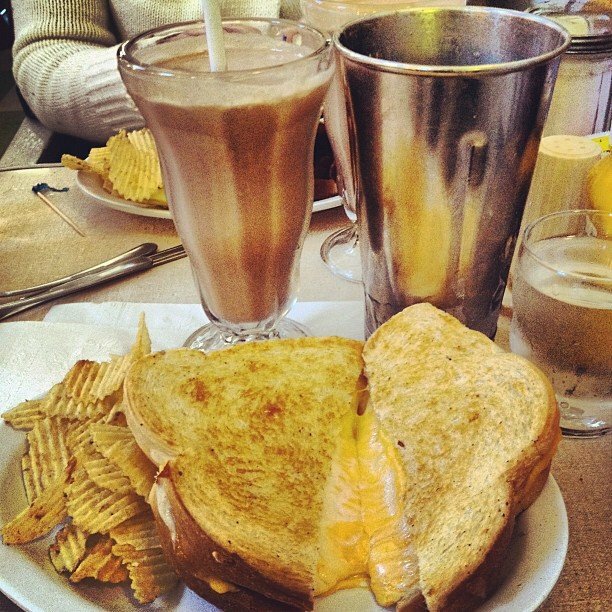 It’s an old school soda fountain type of place featuring sundaes, malts, simple but delicious sandwiches, and chili. Yum! Read their reviews here. Darwell’s Cafe in Long Beach. 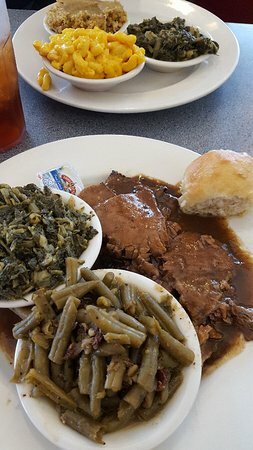 If there’s a diner that knows good southern cuisine–it’s Darwell’s. 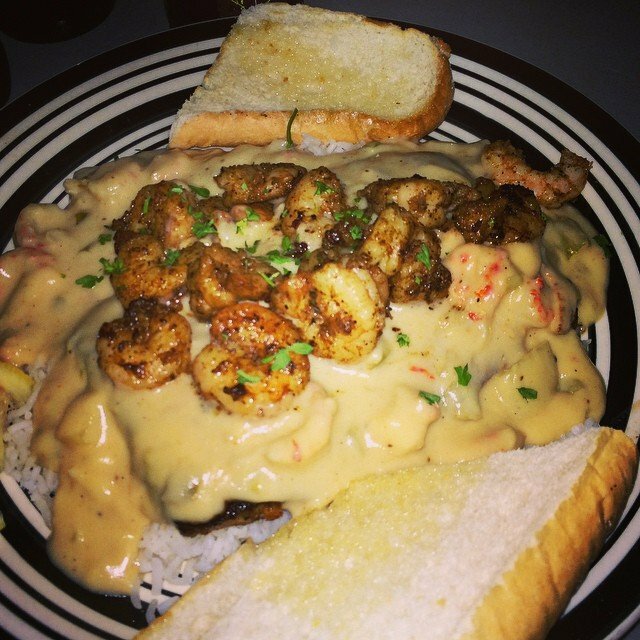 They have crawfish burgers, gumbo, beans & rice, crab cakes, and more. You’ll leave full and happy–that’s for sure. Here are their reviews. Paul’s Pancake Parlor in Missoula. 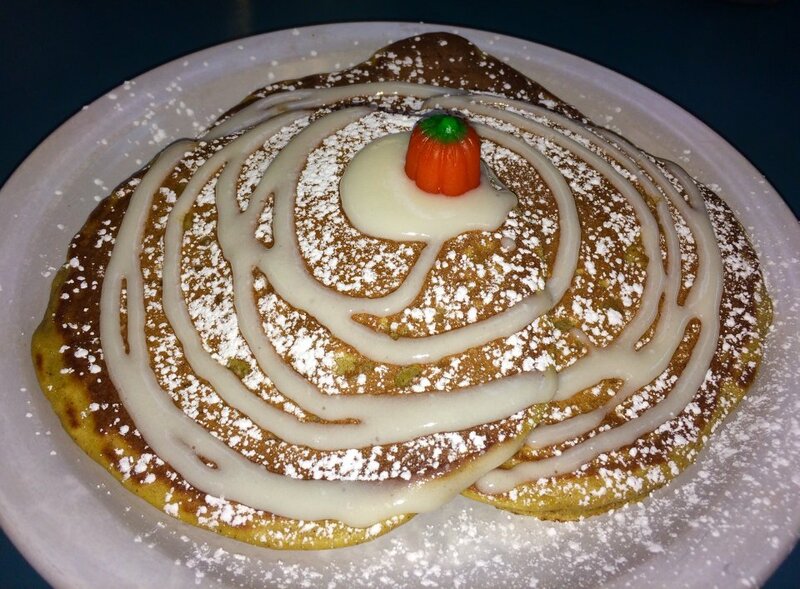 Of course, as mentioned in their name, Paul’s Pancake Parlor knows how to do pancakes right. 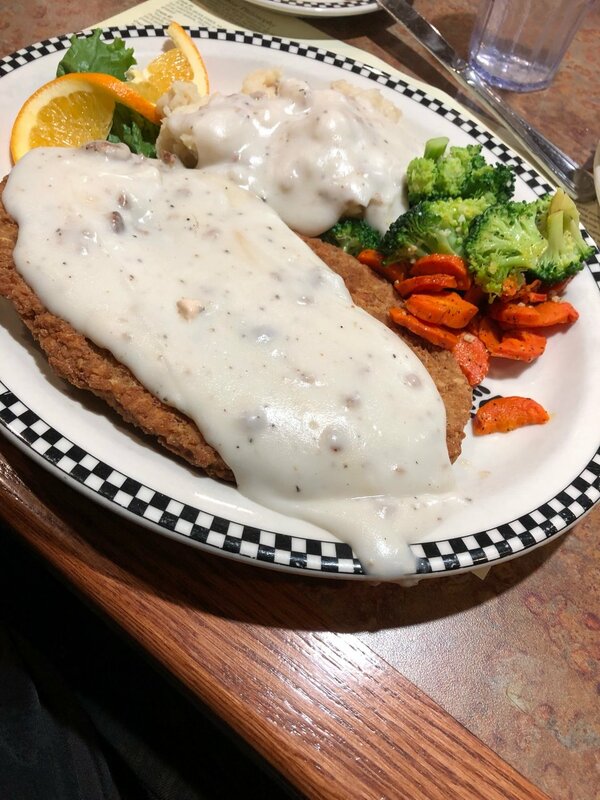 But they also offer other breakfast classics as well as burgers, sandwiches, and classic dinners like roast beef, chicken fried steak, and more. Check out their reviews. Kill Devil Grill in Kill Devil Hills. You’ll see their retro sign from a mile away and it’s definitely a place you’ll want to stop. Family-run for 15 years, this one-of-a-kind diner offers cheesesteak egg rolls, giant plates of fried shrimp, and crab cakes! 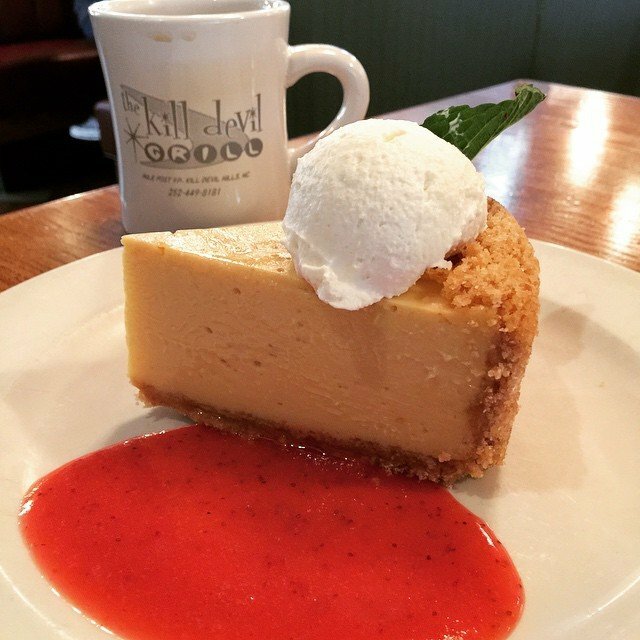 Be sure to try their key lime pie. Read all of their reviews here. Darcy’s Cafe. Located in Grand Forks, Darcy’s has been a local favorite for quite some time. It’s gluttony at its finest but completely worth it. 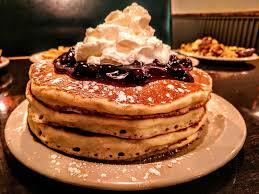 Find giant pancakes, benedicts, and other breakfast plates the size of your head. Check out all of their Foursquare reviews here. 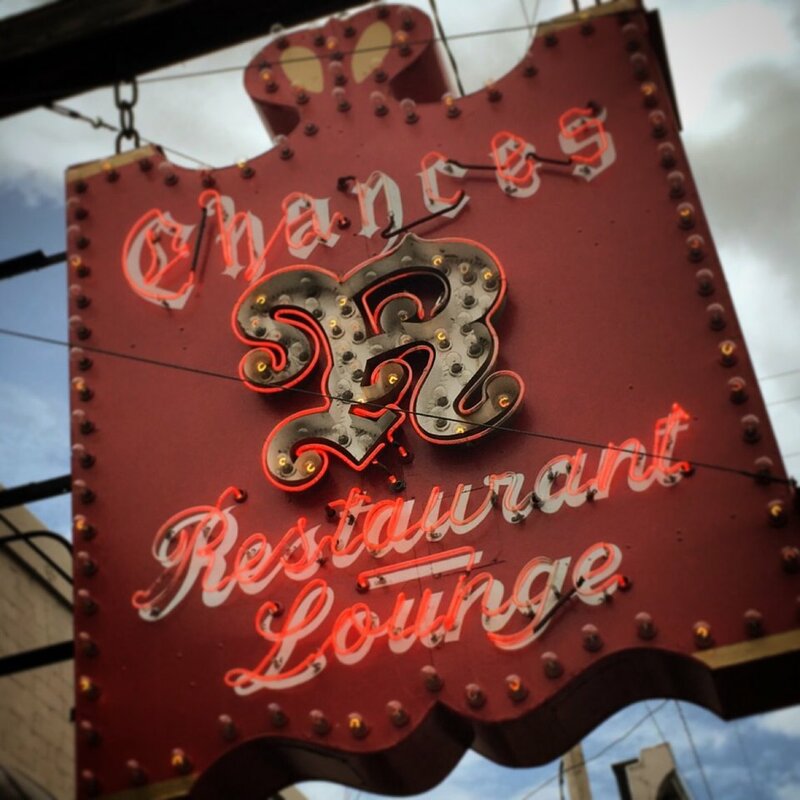 Chances ‘R’ Restaurant & Lounge in York. 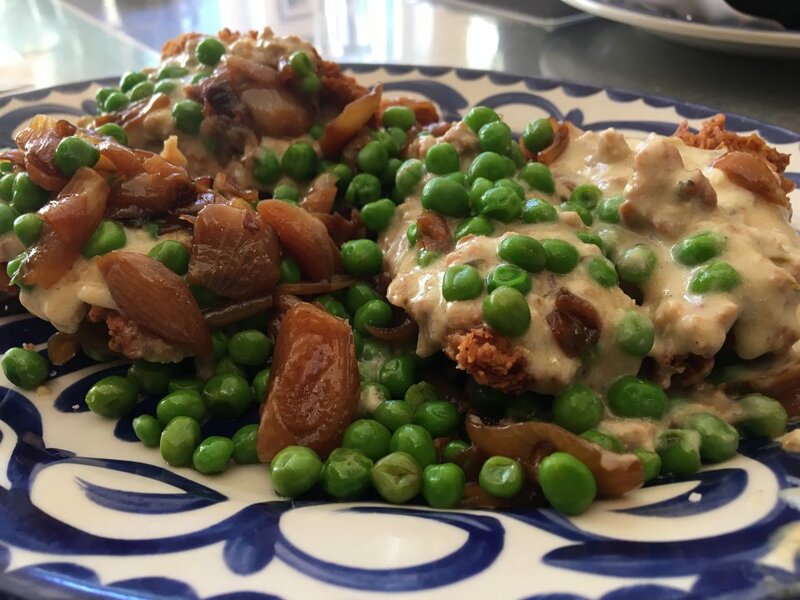 The restaurant attracts people from near and far away to enjoy fresh pastries, pan-fried chicken, char-grilled steaks, prime rib, seafood and many other homemade dishes,” boasts their website. Straight-up, no-nonsense American goodness. Here are their reviews. Red Arrow Diner in Manchester. If Martha Stewart loves it–how could you possibly go wrong? Pick up a giant breakfast or enjoy lunch or dinner with a Steak Bomb sandwich, burger, or homemade meatloaf. The reviews say it all. Tops Diner. If you’re ever in East Newark, do yourself a favor and take a seat at Tops Diner. “Everything. Seriously. 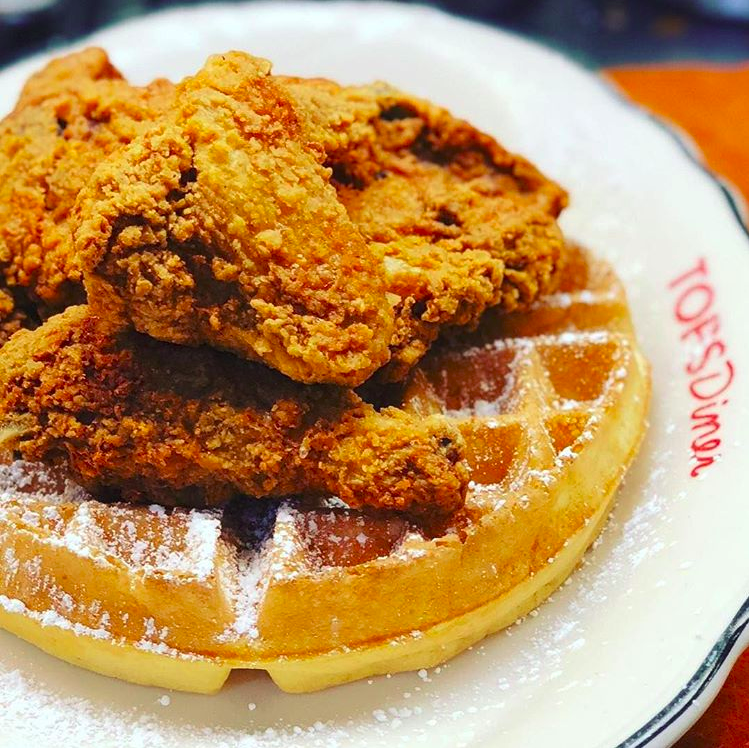 But if I had a gun to my head then chicken pot pie, philly cheesesteak egg rolls, chicken and waffles, bananas foster French toast washed all down with a frozen hot chocolate.” – Foursquare user Brian says. The other reviews agree. The Shed located in Las Cruces. In typical New Mexico fashion, you’ll find dishes with a Mexican flare and lots of green chile! 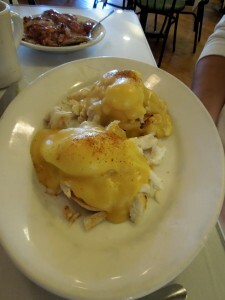 Try their eggs benedict with green chile hollandaise or go for their enchiladas if you’re visiting at lunch. Read all of their Foursquare reviews here. Las Vegas Black Bear Diner. Black Bear Diners are located all across the western United States and sprinkled in the mid-west and south as well. Their known for their giant portions and family-friendly environment. 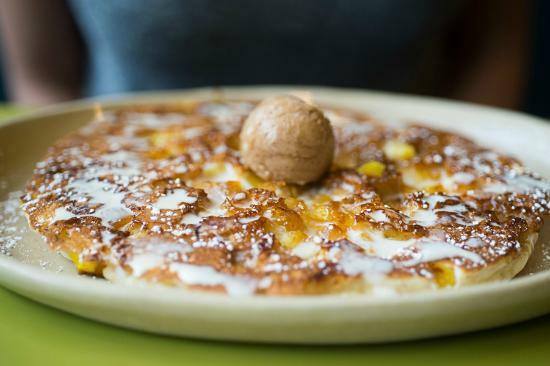 The Las Vegas location, however, is a Nevadan’s go-to place for comfort food. Here are their reviews. Diner. Simply and aptly named, Diner is Brooklyn’s must-visit eatery. “This place is LEGIT!! Menu changes daily with lots of options. Went to Diner for lunch and Sunday brunch, and was fantastic both times. Such a cool spot! Try it! !” – Foursquare user Anna Brown says. Check out all of their reviews here. Slyman’s Restaurant in Cleveland. 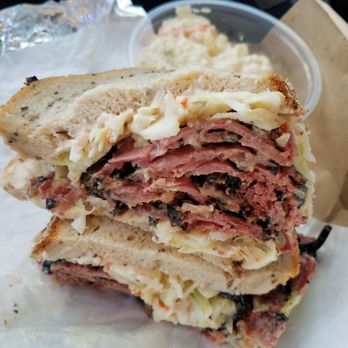 The pastrami sandwich is one of Slyman’s claim to fame. It’s absolutely massive and absolutely delicious. They offer all sorts of giant deli sandwiches as well as hot turkey and roast beef dinners. See what guests have to say here. Ozzie’s Diner. 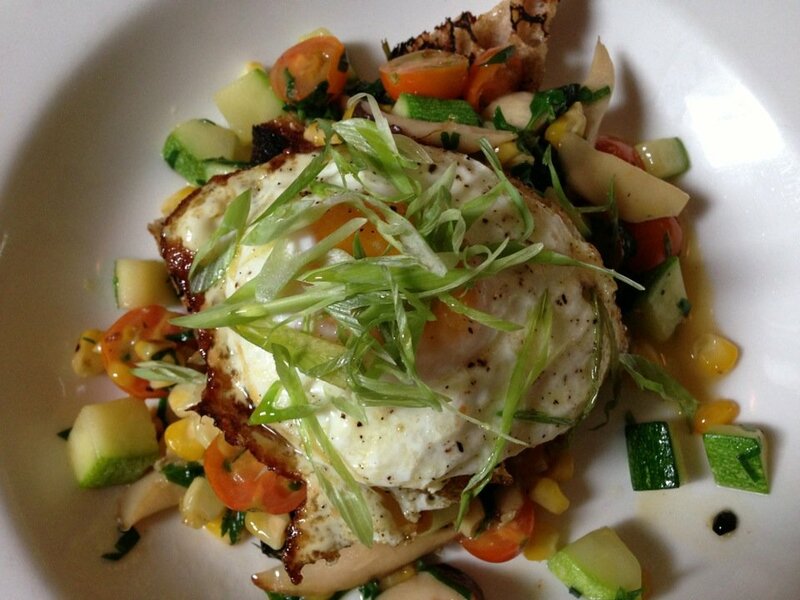 Located in Norman, Ozzie’s offers simple breakfast, lunch, and dinner selections done to perfection. All homemade and all super tasty. 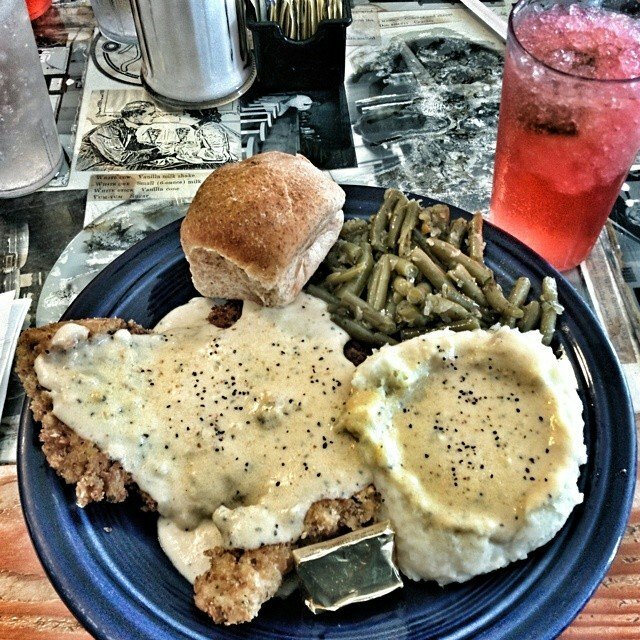 Try their biscuits and gravy, burgers, and chicken fried steak. Prepare for a line, bring cash, and save your appetite for their all-you-can-eat breakfast. Here are their reviews. Banning’s Restaurant and Pie House. 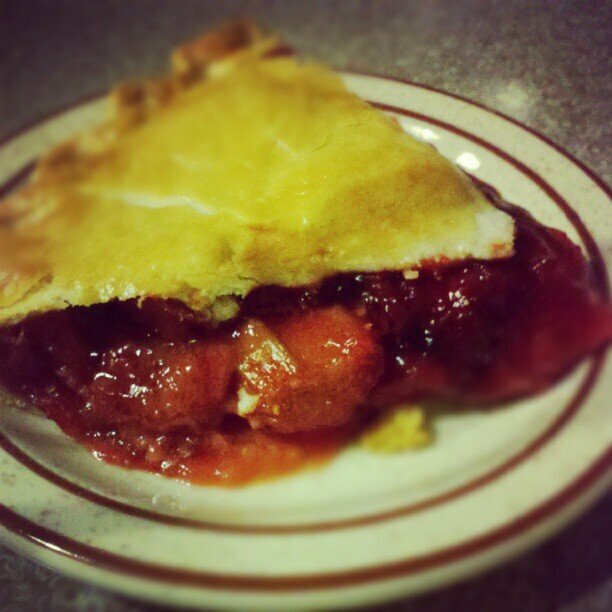 Voted ‘Best Pies in Oregon’ and ‘Best Diner in Oregon’ it’s a classic diner that’s a far cry from many of Portland’s line-out-of-the-door brunch spots but just as tasty. You can find it off HWY 99W in Tigard. Here are their reviews. Silk City Diner Bar & Lounge in Philadelphia. Good tunes, good vibes, and good food can be found at this Philly staple. Grab a bloody mary and order up some chicken and waffles or mac n’ cheese. Their reviews can found here.